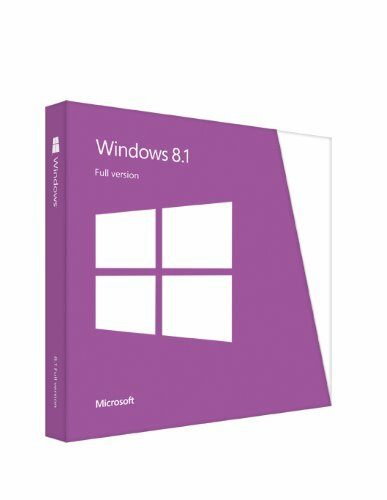 For all the hate Windows 8 gets, 8.1 is a big improvement. Go install Classic Shell, do a quick registry tweak to remove the "swipe to unlock" picture (make a backup first! ), and you have Windows 7 with a speed boost. For power users, the Task Manager and the file transfer progress indicator are MUCH better than on Windows 7. Plus, since this is a retail copy, you can reinstall Windows whenever you need/want to with no issues. While 8.1 is an improvement over 8 in terms of performance, and they managed to place the start button on the desktop.... The UI choice is horrendous, should of been it's own thing for touch tablets. Swiping things in certain places on accident brings up search charms, and all this other crazy non-sense. Moving your windows occasionally minimizes everything. It's a hassle to just have to turn all this stuff off as well. If you have to get Windows 8 or have that thing pre-installed, get the update as soon as possible to 8.1. Con: personally not familiar with windows 8. I like 8.1 and the installation and subsequent updates were easy. Very clean and I'm glad I paid for this OS. So far windows 8.1 is working ok , just hard to get use to. The only thing i haven't got working is my xbox 360 controller. I watched utube videos on how to fix this but it doesn't seem to work. An ok Windows OS as expected, but not good if you plan to watch videos on the windows media player. It is Windows. When we installed it the first time around, it barfed a bit and wouldn't give us LAN drivers, and the UI is highly confusing. Nevertheless, it offers a high amount of functionality, and is quite easy to work with once you know what you're doing.